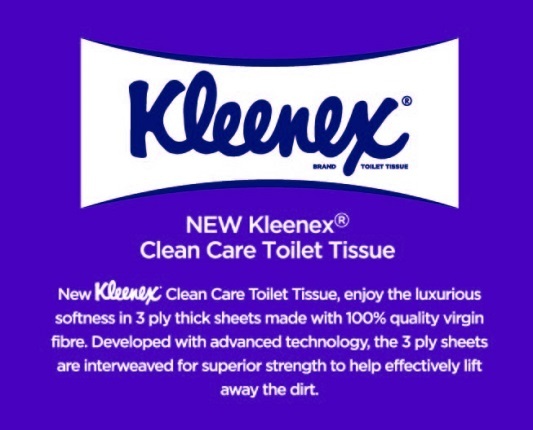 Kleenex is a worldwide famous brand for a variety of paper-based products. The brand has been manufactured in over 30 countries and sold in more than 270 countries by developing products such as facial tissue, bathroom tissue, paper towels, tampons and diapers. 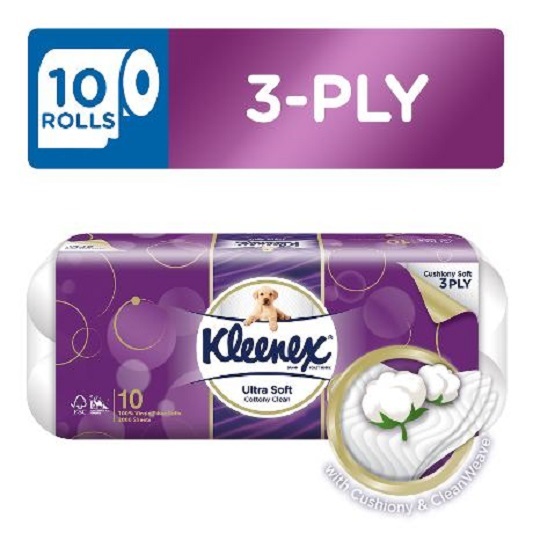 The brand has been in the market since 1920s, and recently they have launched a brand new Kleenex Ultra Soft Toilet Tissue that's perfect for home use. In addition, Kleenex has been working with the Forest Stewardship Council (FSC) to stop deforestation safeguard forests and promote the responsible use of materials as they believe care should be shown to the environment. Offering ultra-softness and strength with 3-ply thick sheets that is made of 100% virgin fiber to ensure superior cleaning. I don't like those tissues that are too thin because it is absolutely not absorbent and will never help to wipe off my dog's urine thoroughly. The special CleanWeave technology on each sheet helps remove dirt for a thorough clean, as well as the cotton extract which provides a cushiony soft touch to feel comfortably clean. Definitely gentle and safe to use on all kinds of skin, and also less irritating to sensitive skin. The addition of charcoal extract helps absorb odour efficiently and makes you feel cleaner than before. 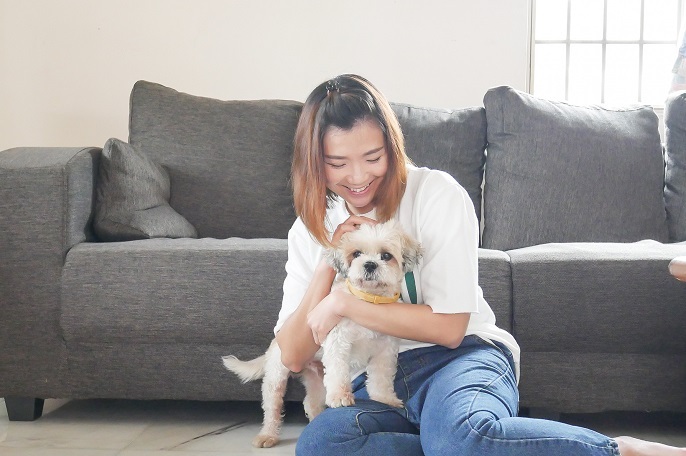 Sometimes, dog's urine smell can be quite strong, so the new Kleenex Ultra Soft Toilet Tissue can help to eliminate the bad smell from Zoi D, and make my home smell fresh again! The new Kleenex Ultra Soft Toilet Tissue is a great solution for me to keep a clean, fresh smelling home! If you check out the other products of toilet tissues, I think there are not many products that are able to provide you all the 3 signs of clean that gives you a nice fresh feeling. Lastly, watch the video for more information about the new Kleenex Ultra Soft Toilet!